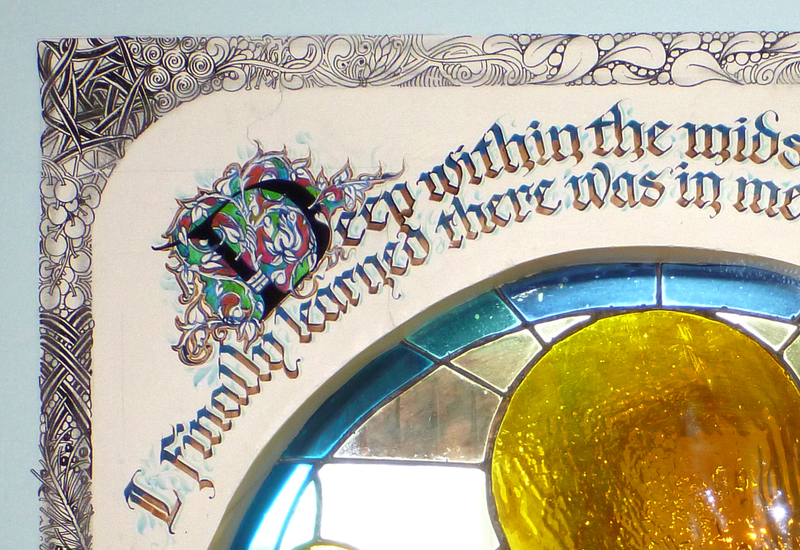 But, how would we preserve Maria's lettering on the wall? Maria grabbed a level and a T-square and drew a line around it. She told the painter to stay outside the line. On the other side of that stained glass window is our kitchen. The window is just above the kitchen sink. Maria didn't want to look at a wall when she did dishes, so she had an arched window cut into the wall. Then she took some stained glass classes and made that window. After it was installed, one Mothers' Day, she lettered above it on the hallway side. 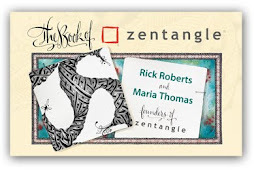 The Zentangle frame is approximately 38 x 32 inches (96 x 81 cm). Quote is by Albert Camus. Absolutely incredible!!!!! What a treasure! Your house must be such a delight to the eye ... and the mind ... it prompts creativity! Perhaps one day you will take us on a home tour?? I took a picture of that window when I was at your house because I loved the window, quote, and Maria's lettering. I should have known that Maria made the window too! The new border frames it just beautifully! Gee, is there anything Maria can't do?,lol! Awesomeness!!! Thank you all. Rick and I love to do these kind of projects......can't get enough of them! We will probably have to open up the house as a museum some day.....for now the gallery will have to suffice. I love the way you add sparkle to your day! I love the window and I think the saying is perfect, it is how tangeling makes me feel like there is Summer inside. 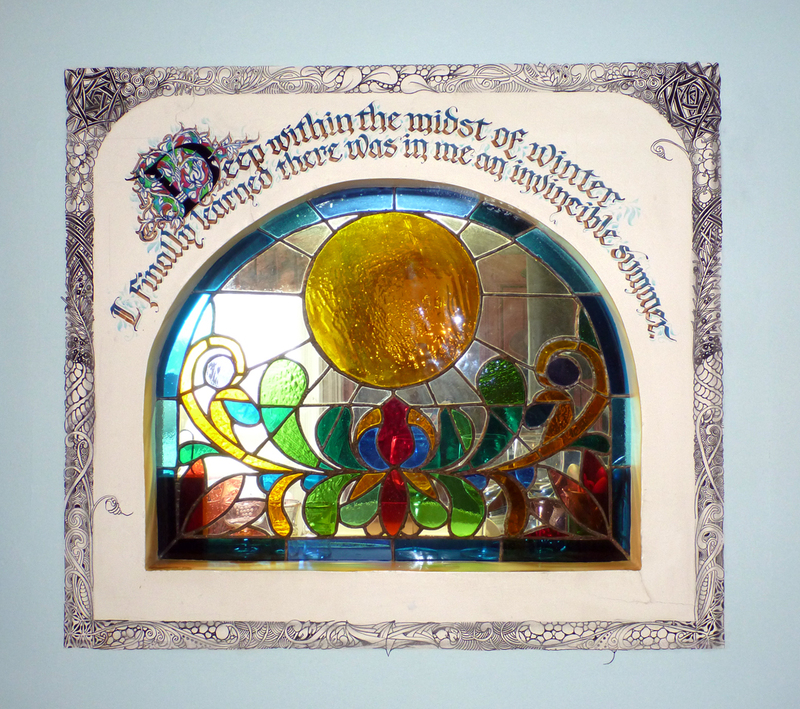 Wow Maria - this is a beautiful window and the words are so perfect and warming! I bet after the winter you've just gone through, it warmed you every day!